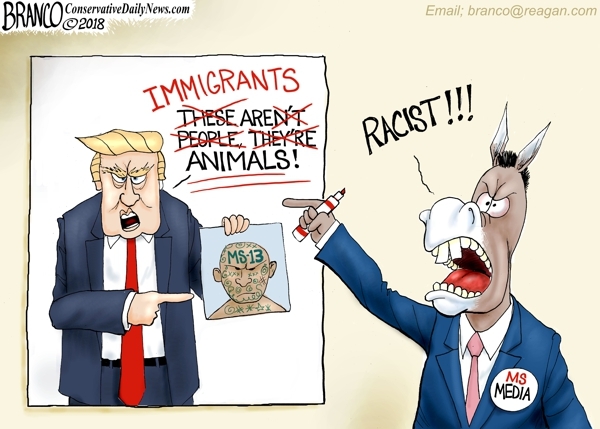 In an effort to paint President Trump as an extreme racist, the mainstream media deliberately took him out of context when referring to Ms-13 as animals. Political Cartoon by A.F. Branco ©2018.